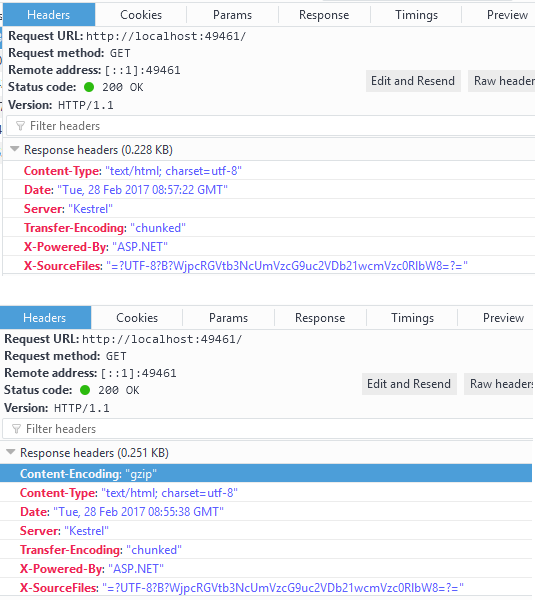 As an ASP.NET developer you are probably aware that IIS comes with its own compression module that can effectively compress the response content. This can dramatically reduce the network bytes giving good performance benefits. However, what if you aren't using IIS at all? Luckily, ASP.NET Core offers you a middleware that can compress the response content for you. 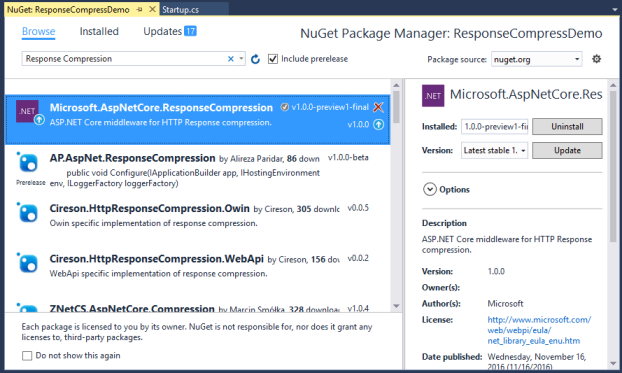 In this article you will learn to configure the ASP.NET Core response compression middleware in your web application. 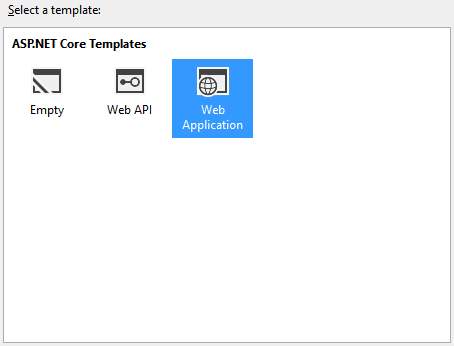 Begin by creating a new ASP.NET Core web application. You can use the Web Application template so that the basic startup configuration is already done for you. The Microsoft.AspNetCore.ResponseCompression package is what you need to enable the response compression. Click on the Install button and install the package. Here, you first configure the GzipCompressionProviderOptions so that highest level of compression is used. Then you ad the response compression service using the AddResponseCompression() method. While calling the AddResponseCompression() method you specify Gzip compression in the options. Then go to the Configure() method and add the response compression middleware to the request pipeline. Note that the UseResponseCompression() method that adds the middleware is being called before any of the other UseXXXXX() methods. This way the middleware gets chance to compress the response. This completes the configuration. Run the application and observe the response in F12 tools (or equivalent). You will find that the Content-Encoding header is set to gzip as expected. For more information about response compression go here.